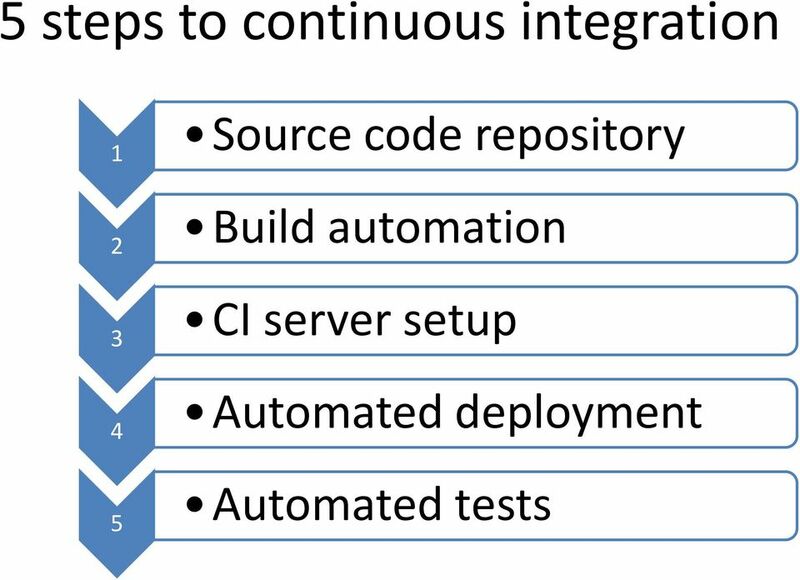 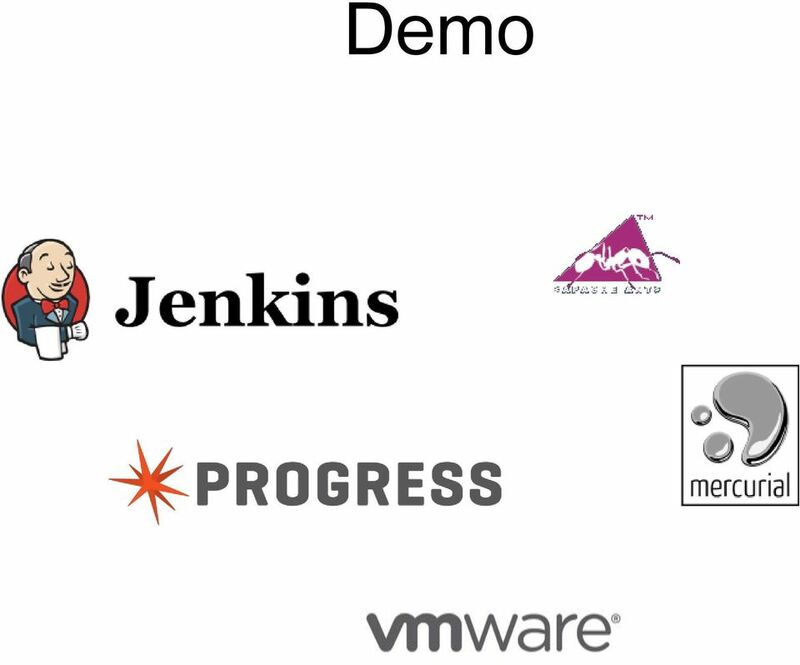 Download "Beginners guide to continuous integration. 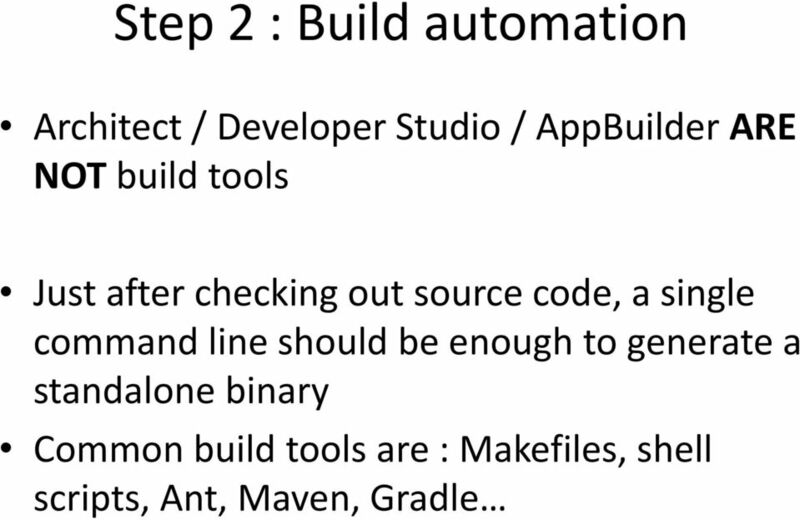 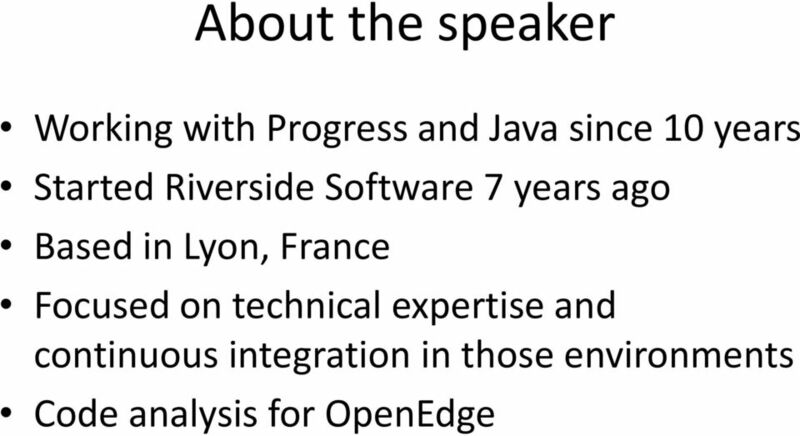 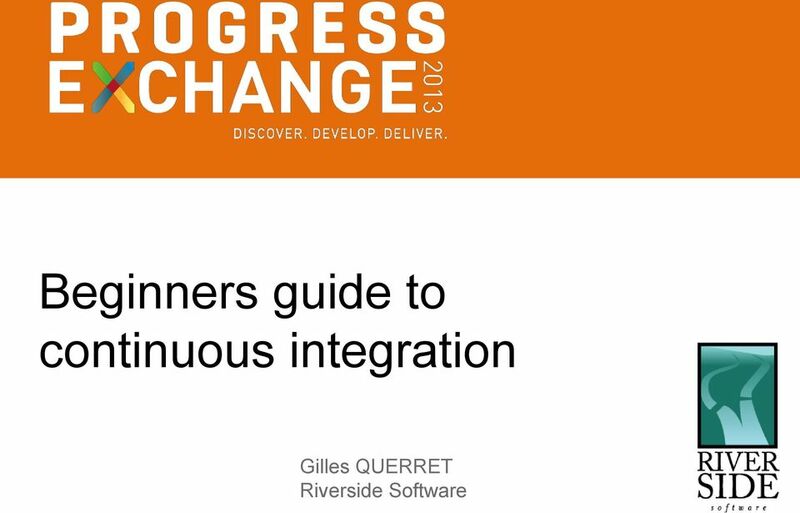 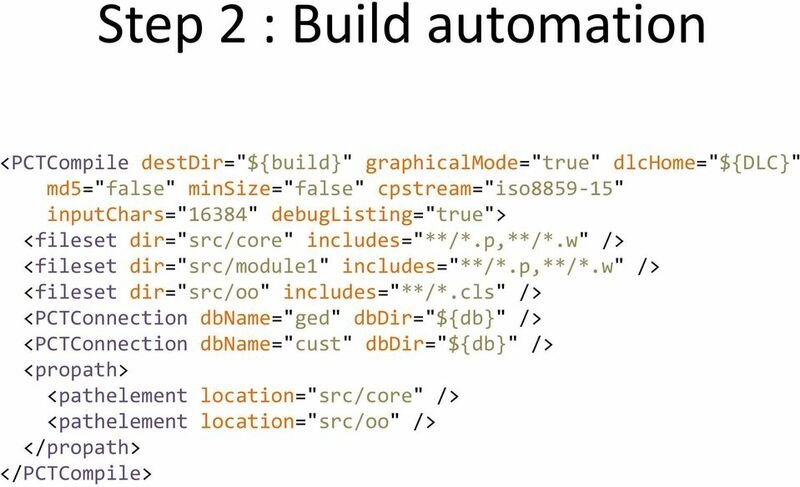 Gilles QUERRET Riverside Software"
4 define:continuous integration Continuous Integration is a software development practice of performing software integration frequently several times a day, in fact. 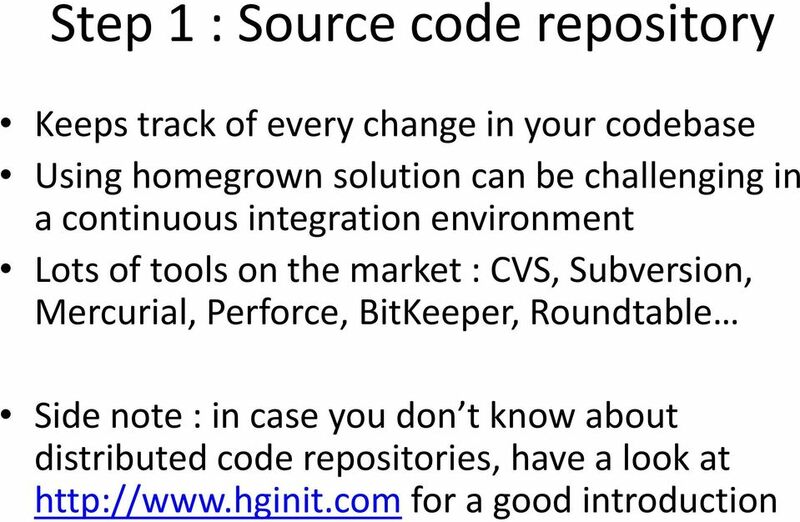 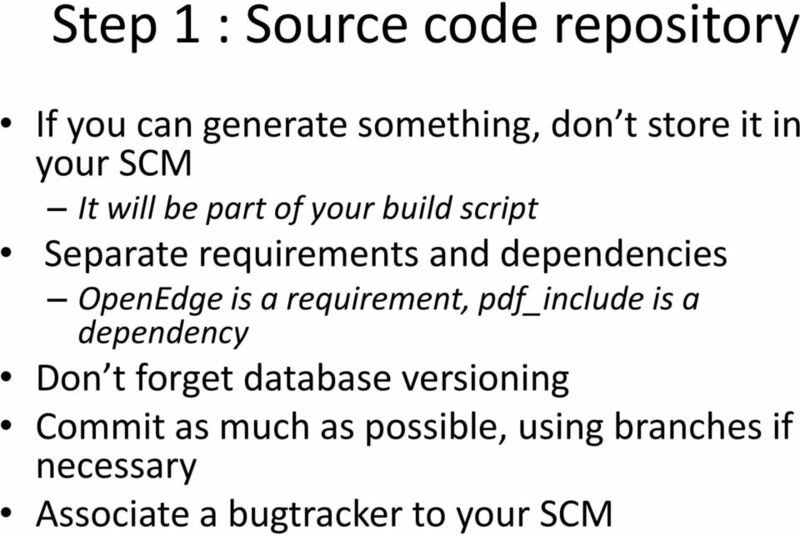 Ideally, your software application or system should be built automatically after each commit into a shared version control repository. 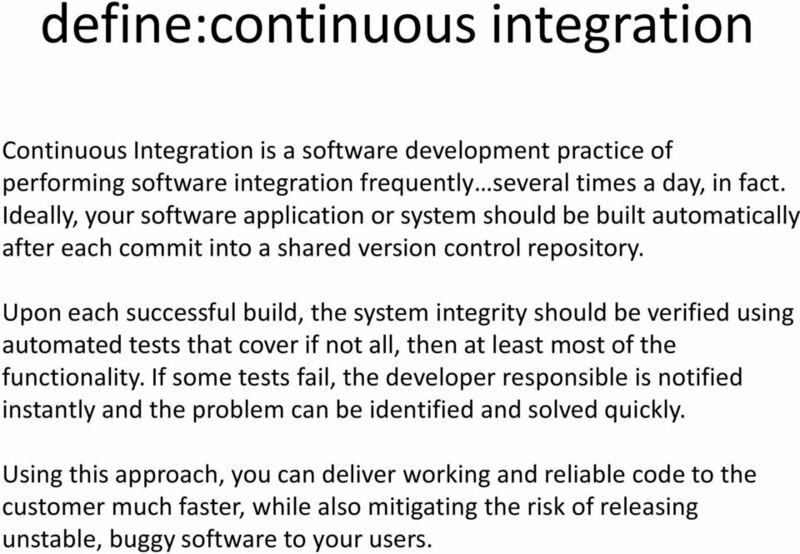 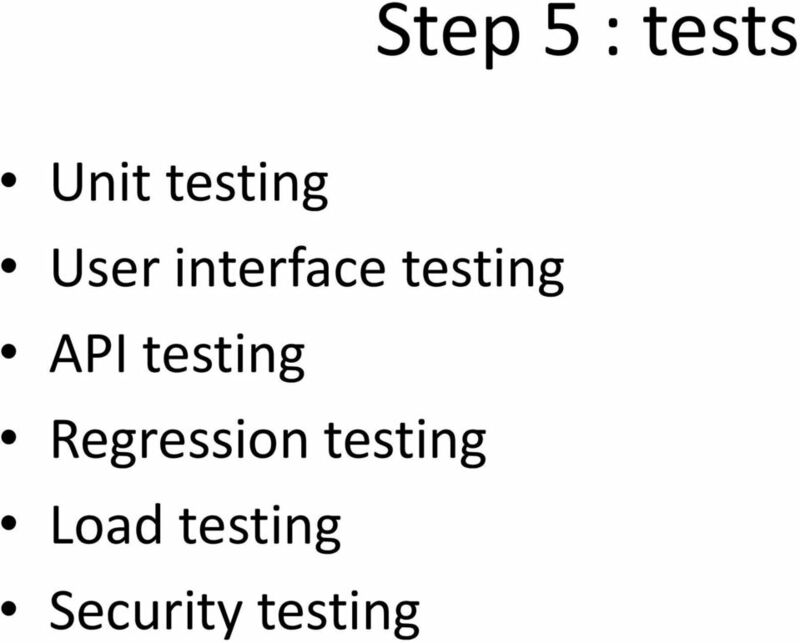 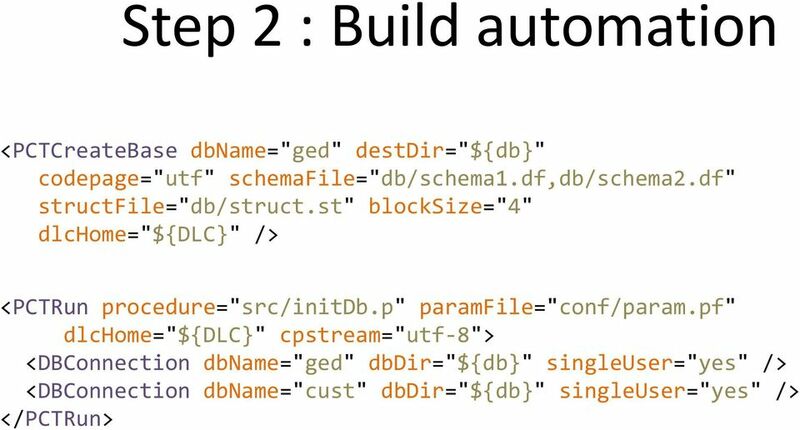 Upon each successful build, the system integrity should be verified using automated tests that cover if not all, then at least most of the functionality. 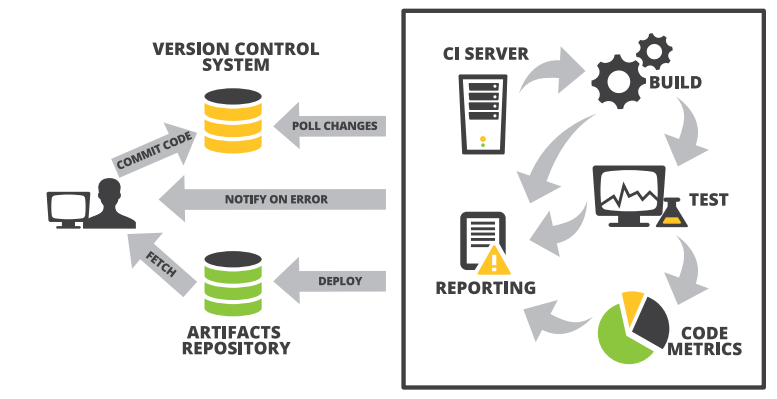 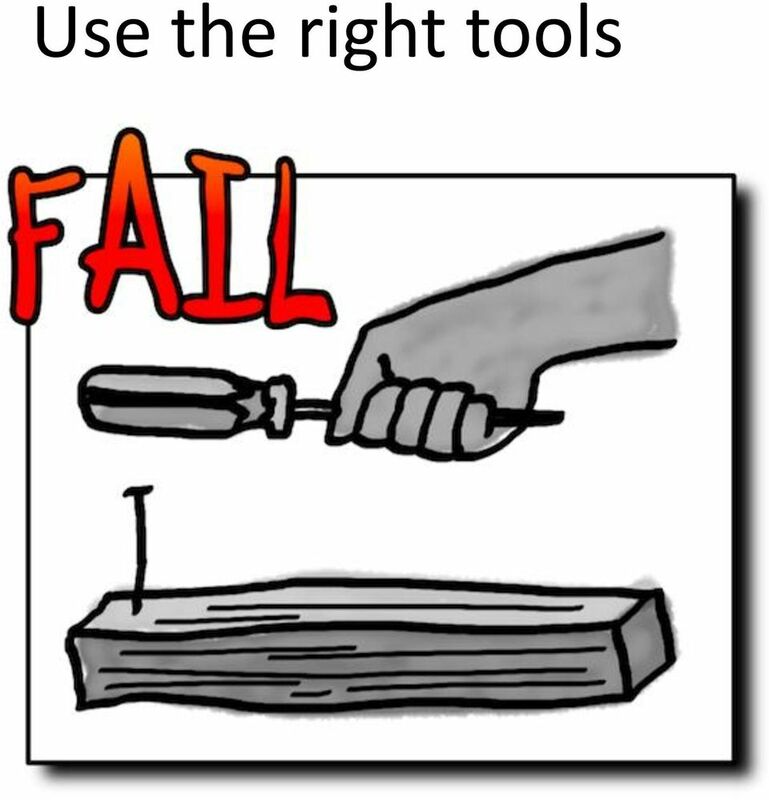 If some tests fail, the developer responsible is notified instantly and the problem can be identified and solved quickly. 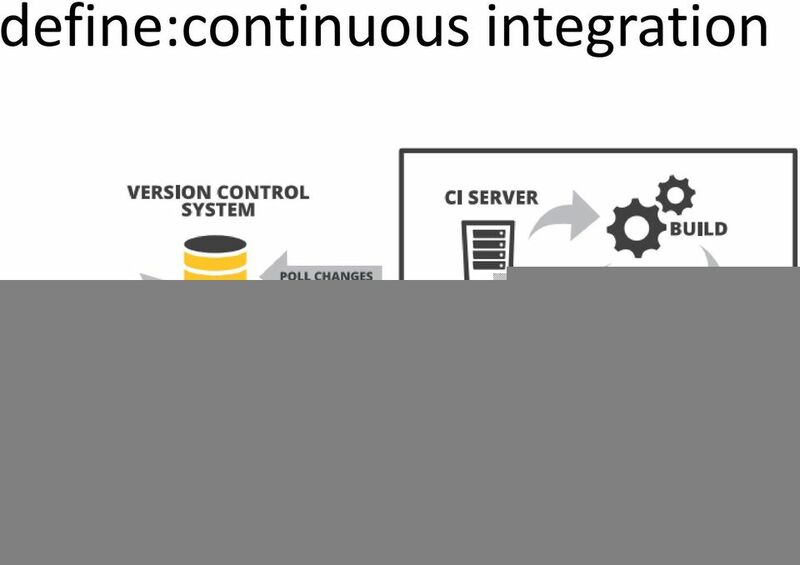 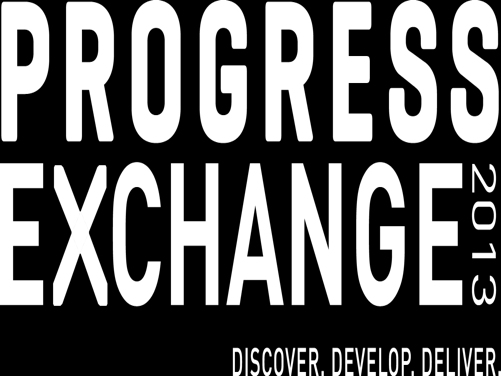 Using this approach, you can deliver working and reliable code to the customer much faster, while also mitigating the risk of releasing unstable, buggy software to your users. 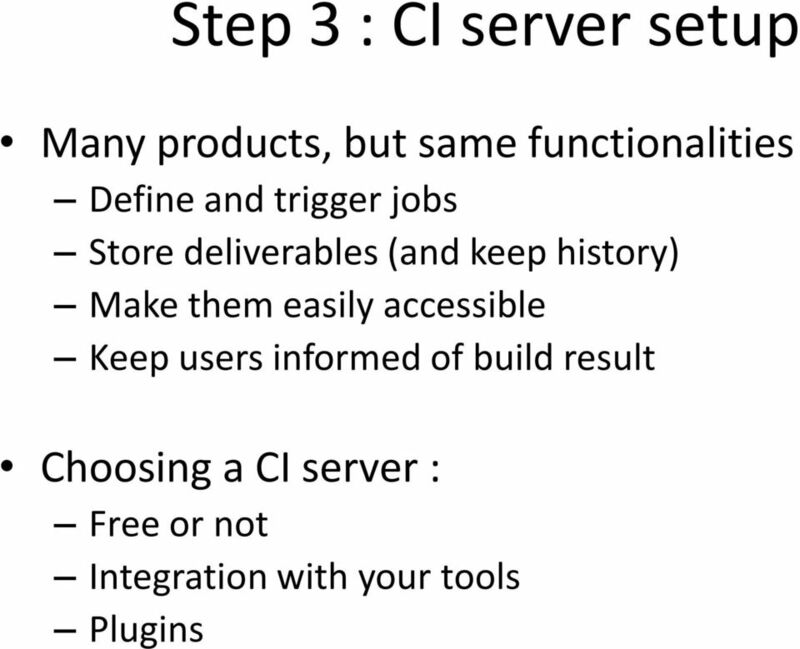 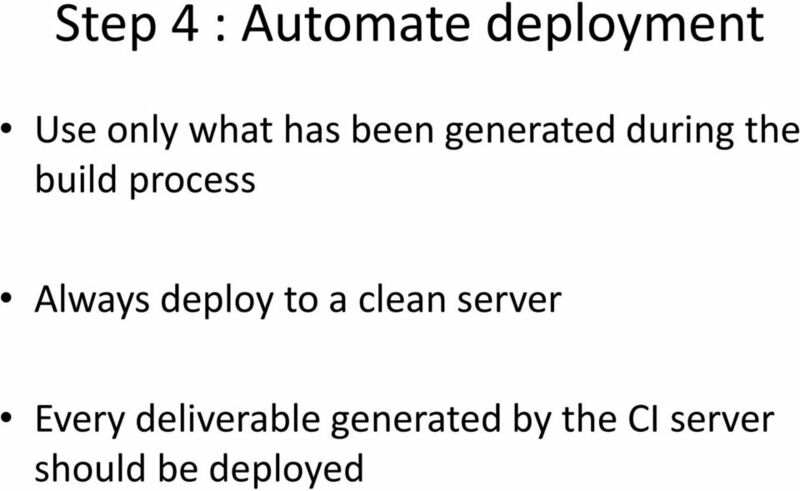 16 Step 3 : CI server setup Always use a clean server Use distributed jobs Define a job for every product and every environment (branches / clones) Keep deliverables only for production jobs. 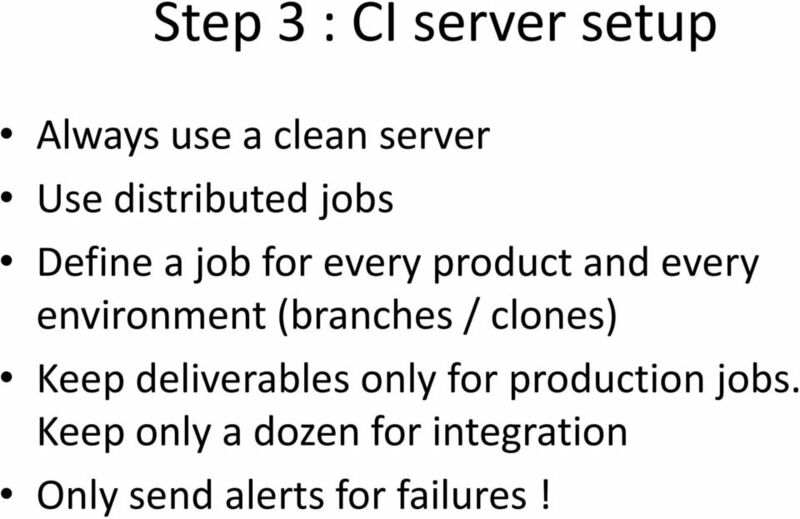 Keep only a dozen for integration Only send alerts for failures!